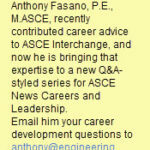 Ask Anthony: How Important Is It to Work in the Field as a Civil Engineer? I am really glad that a civil engineer recently asked me this question because I think the answer can have a profound effect on the career of a civil engineer. How important is it to work in the field as a civil engineer at some point in your career? I can provide a very personal answer to this question by giving you my early career story. Once upon time, there was a high school student who really liked math and science, and he told his parents so. Like good parents, they tried to help him find a summer job that would spark his interest in math and science. His mother knew one of the parents of his high school colleague, and this person owned a small civil engineering firm. Civil engineering … that would encompass math and science, right? Next, she did what all kids get embarrassed by – she called the parent and asked if her son could work for him over the summer. He could perhaps help this adult the best he could being a high school student who was interested in engineering. The next thing I knew, I was handed a rod and told that I would serve as a “rodman” for the company’s survey crew for the summer. “A what man?” I asked. I thought I was going to be an engineer. I got to spend the next few summers in the field, holding a rod. Oh, and not only holding a rod; I also spent hours sweating, squinting in the sun, and picking prickers out of my … well, you get the picture. That being said, what I didn’t realize was that I was learning. I was learning a lot about how construction projects were built from the ground up. I had no idea how valuable that experience was going to be. I made it through those summers, headed off to college to study civil engineering, and still spent summertime working with the same small civil engineering firm, doing both survey and light engineering drafting. When I graduated – yes, you guessed it – I took a job with the same civil engineering company. But this time they didn’t hand me a rod. They gave me a computer and some local regulations, and I became a design engineer. I laid out project sites in conformance with the town codes and performed drainage analyses and other engineering tasks. I’d never really had the opportunity to do heavy site design or stormwater work while in college, but for some reason it came easy to me. When I looked at sites and created designs, it was like I had been doing this for years. I could easily determine what part of a design was practical when it came to construction and what part of the design looked good on AutoCAD but could never be built as designed. The best way for me to describe my success and how it can be attributed to my work in the field is referencing the movie, The Karate Kid. If you haven’t seen it, you should, but to summarize: a martial arts master/instructor offers to teach karate to a bullied high school kid, so he can defend himself. He proceeds to have the boy paint his (the teacher’s) fence, wax his cars, and sand his floors. The boy thinks to himself, I signed up for karate, not to be his maid. This was my initial thought as well. I had signed up to be an engineer, not a kid standing in pricker bushes in 100-degree weather. In the movie, when the student finally confronts the older man, this master teacher tells the boy to go through the motions of sanding the floor, and waxing the car, and he shows the boy how he has secretly been teaching him the mechanics of critical karate moves. So my answer is YES, working in the field will be a huge help to you in becoming a great civil engineer, whether you know or not. Great story. You were lucky there was a small firm that helped you. I am struggling after graduation in civil engineering because I do not have the required experience. I have now worked over 10 years as a transportation associate. Even jobs that advertise as entry level nevertheless ask for experience; just not the type I have. Am sure the recruiting engineers did not graduate with experience at birth and am sure they are fully aware that many students do not have the experience they seek. My curiosity after one year of empty smiles from recruiters is: what is it the you the engineers in the field want? 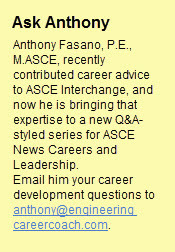 It certainly isn’t the degree or whatever I have learned in traffic engineering on the job for 10 years? If you can please write something more practical about navigating empty interviews, I will highly appreciate. Any advice please. John this is a pretty case specific issue — but one thing you can do is be clear upfront and ask the prospective employer/recruiter exactly what they are looking for in the position. 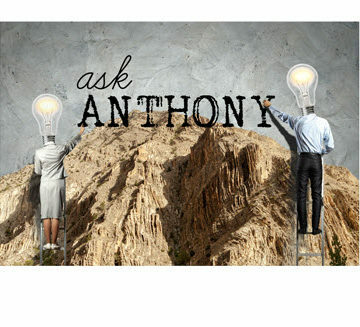 Anthony: Good points nicely communicated. Getting in the field early is very useful, especially for civil engineers. Contrasted with most other engineering disciplines, the success of our creations depends heavily on how they fit in the “field” — how they reflect the topography, geomorphology, and the geology. Lectures and labs help, but you can’t beat being out there walking and mapping the surface, drilling and exploring the subsurface, or monitoring the degree to which constructors successfully construct what the engineer designed. The field, literally and figuratively, is the canvas on which we paint and what attracted many of us to civil engineering. 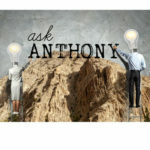 Anthony: Great Story! I think working in the field is a very critical aspect of developing engineers with “Engineering Judgment”. 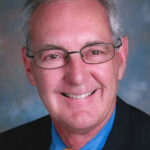 I think engineers that do not spend time in the field have difficulty connecting the theoretical analysis with actual conditions, whether it is grading, drainage, or infrastructure failures and repairs. My grandfather taught irrigation engineering at Utah State and he insisted that there always be labs with work out in the field to help students learn the skills of working with data collection, working with tools, and assessing conditions in the field. These classes helped countless engineers get some of the field experience they needed to understand the data they were analyzing in the class room. My experience with working out in the field has broadened my understanding of hydrology, hydraulics, and sediment transport in ways that working in the office can’t approach. To be a well rounded engineer, field work is essential. Ken this a powerful story, thanks for sharing it, and great work pushing forward towards that engineering degree after all those years!